The FTD® Autumn Passages™ Bouquet is blooming with rich autumn colors to offer your special recipient a warm wish for a wonderful fall season. 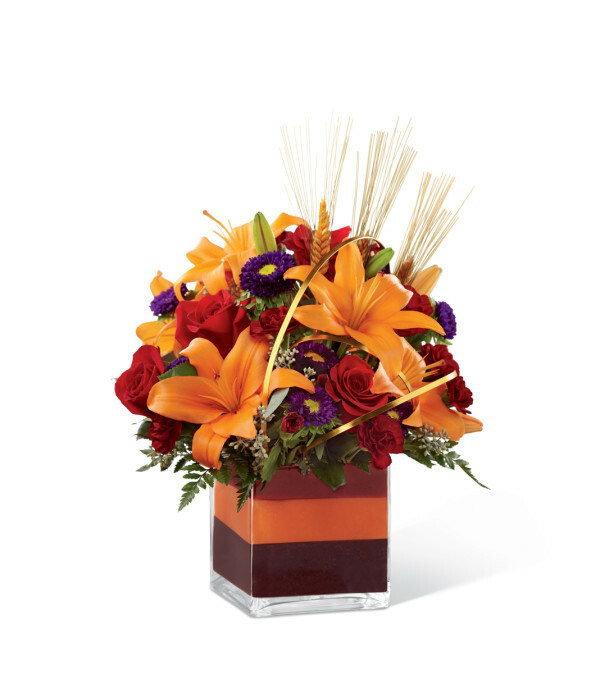 Brilliant red roses, orange Asiatic lilies, burgundy mini carnations, purple matsumoto asters, dried wheat stems, and a variety of lush greens are beautifully arranged in a clear glass cubed vase featuring layers of colored foam inside for an incredible look. 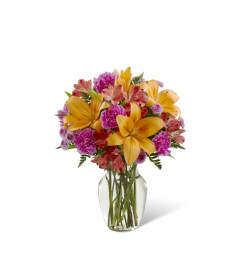 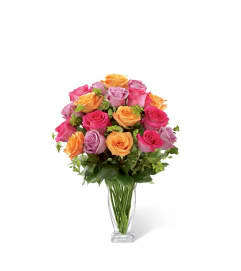 Elegantly accented with gold flat wire throughout the arrangement, this bouquet creates the perfect seasonal offering.